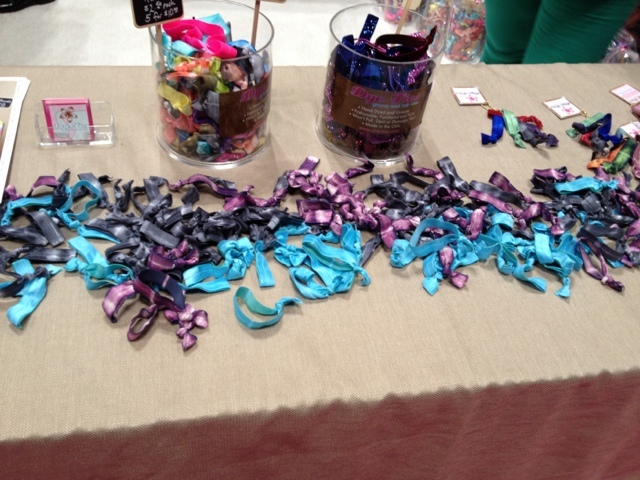 I saw these at the IBS show in April and was instantly drawn to these groovy dyed hair ties. 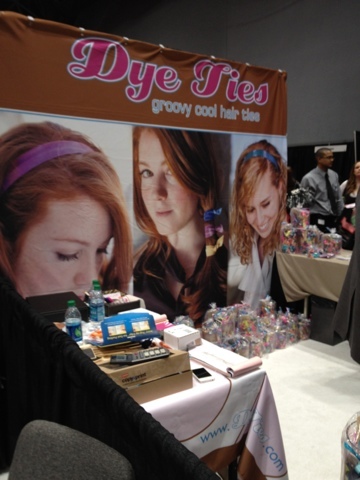 I currently use these kinds of stretchy ribbon ties because they feel better than traditional hairties. (they're not as tight!) They were sweet enough to let me sample one and I use this whenever I tie my hair up! They also make fun bracelets.